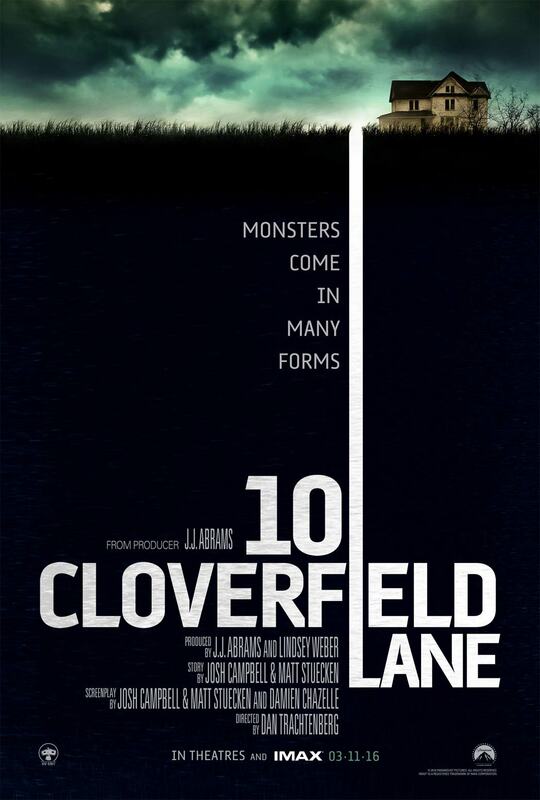 '10 Cloverfield Lane' according to executive producer J.J Abrams is the 'blood relative' to the orginal 'Cloverfield' in which he directed. It is set in the same universe as the found footage, monster film that received positive feedback from both fans and critics alike. 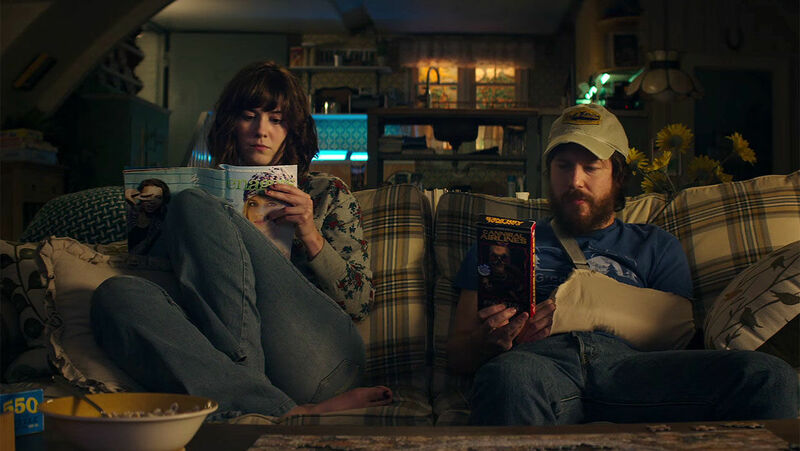 But would '10 Cloverfield Lane' be able to follow in the footsteps set by the original? '10 Cloverfield Lane' stars Mary Elizabeth Winstead, John Goodman and John Gallagher Jr during the aftermath of the events in 'Cloverfield'. After her leaving her fiancée, Michelle (Winstead) is in a car accident and when she wakes up, she is locked up in a prison like cell. She is then confronted by Howard (Goodman) who claims that he has brought her here for her own safety. Michelle then meets Emmett, a man who witnessed the attack who fled to the bunker for safety. Unsure whether or not something big has actually gone down or if she is really safe inside Howard's bunker, Michelle is conflicted to staying or trying to escape the bunker. Many twists and turns throughout as Michelle looks to find the truth both inside and outside of the bunker. The best way to start this is to address how it fits in with 'Cloverfield'. The film only has a few things in it that really connect with 'Cloverfield'. Don't go into this film expecting a direct sequel to 'Colverfield' because you will be disappointed and it won't be what you expected at all. The nuclear fallout from the end of 'Cloverfield' is only one of a few things that are really relevant to the first film. As the film goes on it is clear that they are in the same universe but isn't directly linked at all. Go in with an open mind to this film and you'll have a great time. You'll also find a film superior to the original. The start of this film is absolutely fantastic. It starts with Michelle driving through and suffering her crash. Through doing this, it creates a fast paced sequence that stops every couple of seconds showcasing the companies behind this project such as 'Bad Robot'. It was a really unique start and was doing phenomenally well. The start adds a lot of mystery as you are unsure to if this was planned due to a previous interaction of some sorts. It sets up the film brilliantly and also does not give anything away. From the start you are hooked and are drawn into the film, already wondering what has happened. A fantastic opening. The film has a whole bunch of mystery surrounding it and to great effect. There are so many twists throughout the film which always keep you guessing. It toys with you so that you are unsure if it is safe inside the bunker or if the events that Michelle has been old about outside are true. Also there is a great mystery surrounding John Goodmans character Howard. With all the events that happen in the film, you are unsure to whether or not he is helping these people or not. Also his sanity and whether or not he is stable is questioned a lot throughout the film. The film will keep you guessing at all times through its great twists that all work fantastically. They all work great and add to the mystery incredibly well. The film only really has three characters and they are all fantastic. John Goodman is probably the standout in which he is phenomenal. Throughout the film the audience is always conflicted to if he is genuinely just a good Samaritan who has taken these people into his bunker or if he is unhinged and is capable of horrible things. Goodman's performance as Howard is brilliant and at times will make you feel quite uncomfortable. A brilliant performance from Goodman, that statement really isn't a surprise though is it? Mary Elizabeth Winstead is also very good in the film as Michelle who is being held against her own will inside this bunker. Due to not knowing about what happened outside she finds it hard to believe and isn't convinced by Howard that she is here for her own good. Throughout the whole film she is looking for more answers for both inside and out of the shelter which leaves her in tough predicaments and not knowing what to believe. As the main protagonist, you really felt for her during this time in which would be a terrifying situation to find yourself in. There is also quite a large character arc for her character which works very well. John Gallagher Jr is more of the comic relief in this film and he is also very good. He is funny when he needs to be and brings a character that isn't always serious despite what has happened to the world. A great addition and a good contrast against Goodman and Winstead's characters. There is one huge problem with the film and that is the ending. Compared to the rest of the film, the ending is awful. I won't spoil it but the ending is so out of place and is overall just really bad. There is a point in the film where it really should have just ended. It definitely seemed like they needed to extend the ending to make for a longer run time. In saying that though, it did at the dying moments manage to make up for it a little bit and made me leave feeling very excited. That doesn't take away from the fact that the last 15 minutes or so of this film is nowhere near the standard set by the rest of the film. A fantastic movie that you should definitely see. One of my favourite movies of the year so far but the ending isn't up to standard. Because of this, the overall score does take a hit. So have you seen 10 Cloverfield Lane? If so what did you think? If you plan on going to see it, I hope you enjoy it just as much as I did. Once again thank you so much for reading, it is much appreciated!